Have you ever hear about the tsunami in 2004. The giant wave hit Aceh and cause a havoc disaster. To remember the tsunami, Aceh has built a museum which has many collection about the history of Aceh including tsunami. If you wanted to make research maybe this could be the best place for you. Since Aceh famous with the syaria of islam, Mesjid raya is the old history of islam in Aceh. Mesjid raya is a mosque located in capital of Aceh, Banda Aceh. If you are a foreigner you must wear a Islamic costume before entering this site. Ie suum is a hot tube for you want to enjoy take a warm water. There are a hot natural swimming pool that you could enjoy. However remember still you must wear a proper costume if you want to visit aceh, because Aceh has a strict rule of islam. Sabang is a beautiful beach like bali. However sabang is more natural than bali because it is not as famous as bali. If you want to enjoy the wave with a natura view you many try to visit sabang. This place also has a natural view of beach. 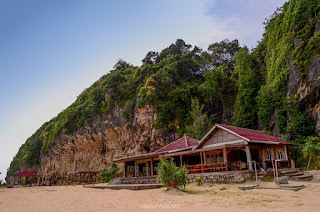 Eventough is not as beautiful as sabang, Lhoknga also let you to make a fun in a natural beach. Lhoknga is located close to mountain and sea so you could enjoy both of them with the antural fresh air. So, If you visit Indonesia and you have already know much about bali then want to visit a new place, Aceh manybe a good solution for you.